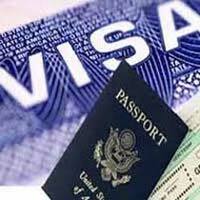 The procedure of obtaining passport and visa can be very demanding and time-consuming. First, you ought to be familiar with the entire process, get all the paper work done, submit the documents, and in case of any lapse, repeat the cycle. There are so many formalities that it gets really tough to procure passport and visa without professional assistance. We identify the problem and help tourists and travelers with our Passport & Visa Services. Holiday Masti is a travel company based in Lucknow, Uttar Pradesh and provides reliable Passport & Visa Services. We would help you in filling the forms and also submit them. Our executives are familiar with the various Visa procurement interview processes and can provide you the right guidance.